It’s always pretty exciting when brand new gluten-free products hit the market, especially when we’re talking about gluten-free bread. I’ve said it before and I’ll say it again. I think gluten-free bread is the holy grail of gluten-free baking. If you can achieve a light and fluffy loaf of gluten-free bread, then you’ve really done something special. Especially if a slice of that bread is flexible enough to wrap around a snag. Making gluten-free bread is something that I find so tricky that I decided long ago to leave it to the experts. You won’t find a bread recipe on this site, that’s for sure. It turns out that Lifestyle Bakery IS an expert in this area. Its new range of gluten-free breads is being rolled out right now and, well, it’s pretty amazing. 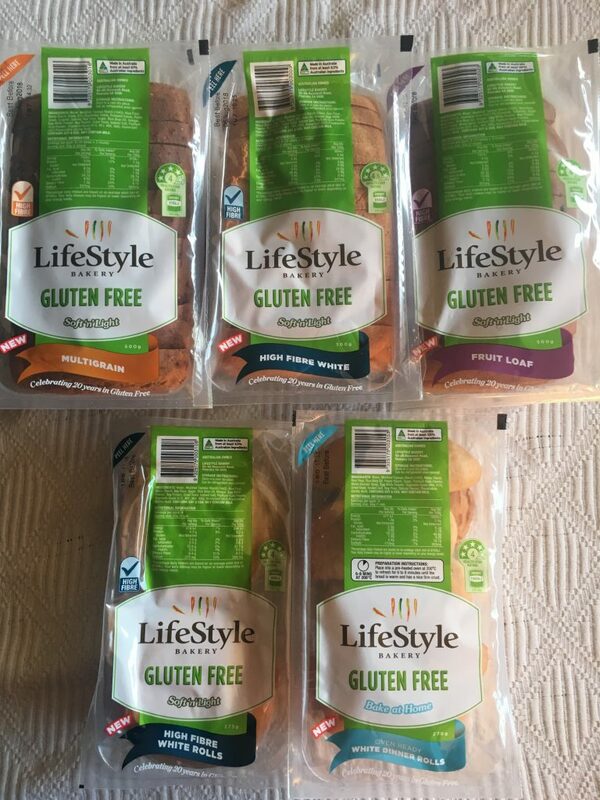 Lifestyle Bakery was kind enough to send me a sample of its new range and we were only too delighted to road test the products. This loaf has a lovely, nutty flavour, packing a nutritional punch with sunflower seeds, pumpkin seeds, poppy seeds, linseeds and quinoa. There’s just enough seeds for a lovely taste and interesting texture, but they aren’t overloaded in the bread. Always a good thing! As you can see from this short video, the bread is beautifully flexible, even with the seeds. This loaf is amazingly flexible, with a soft texture and plenty of fibre in disguise, just in case you’ve got a fussy eater. It’s a decent size, too and passes the sausage test. Check out this image from Lifestyle Bakery’s own website. It really is as good as it looks! Fruit loaf is such a delicious treat. Toasted slices are warm and comforting with butter slathered all over. Yum! And, just quietly, if you’ve been caught out without enough food in the house for a lunchbox recess, keeping a Fruit Loaf in your freezer can really come to your rescue. This loaf is wonderfully bendy – just take a look at the video below – and it tastes fantastic. Lightly spiced with a generous helping of fruit. Just the way it should be! Wow. Just wow. White rolls, high in fibre and the perfect size for lunchboxes. 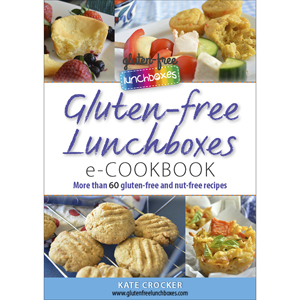 Fill them with cold meat and salad ingredients, or for something different, try my recipe for Gluten-free Hamburgers. Holy smokes! What a great idea! I can’t think of anything more comforting than the smell of bread rolls heating up in the oven. But this is so often torture for someone on a gluten-free diet. Not any more! 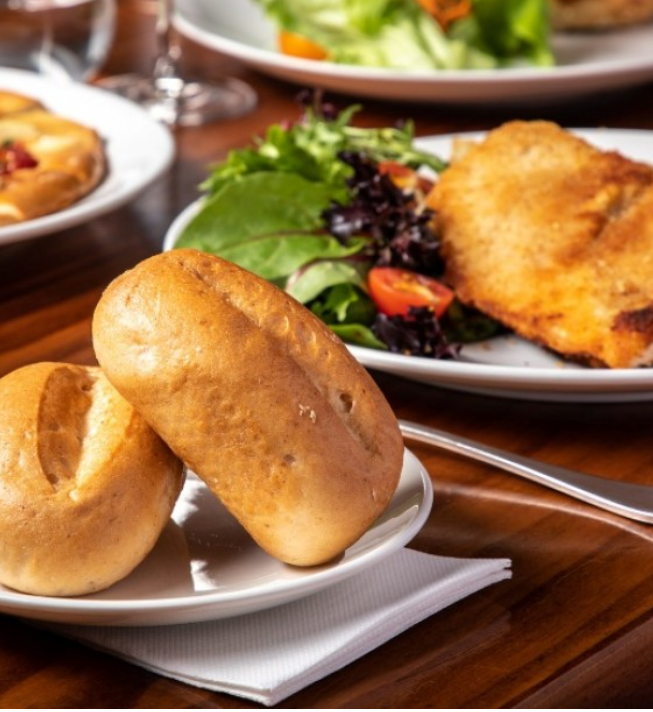 These rolls are the perfect size for a dinner and they form a lovely crust, with soft and fluffy bread on the inside. And did I mention lashings of butter? Six rolls per pack. Bingo! For stockists, check out your local independent supermarket. Fruit Loaf is now available nationally in Woolworths. Lifestyle Bakery provided its products to me in exchange for a fair review. All opinions are my own. Hi Carmel, as far as I know, the products are only sold in Australia. Head to http://www.lifestylebakery.com.au for more information about stockists.